ALL SHIFTS AVAILABLE!!! 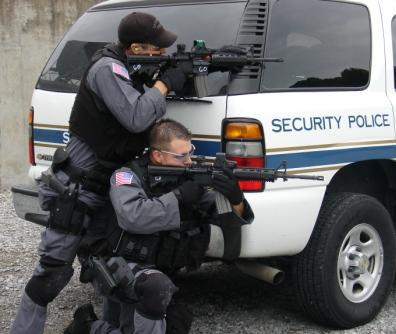 (Chelsea), Allied Universal Jobs, ARMED and UNARMED SECURITY AGENTS Positions Available (Westchester, ARMED GUARD FOR IMMEDIATE HIRE $25-$26/Hr, Armed Guards for Staten Island, Bank and Retail Security Guards - Looking to Hire Quickly!, CONSTRUCTION SITES, Experience LICENSED Security/Monitor with F-2 or F-80 for Shelter (Bronx), FIELD SUPERVIOR & DISPATCHER NEEDED (GLENDALE), Fire Safety Directors all shifts available, Flash dancers Security/ Floorman Position (Midtown), GREAT PAY! (Chelsea), Hiring Security Guards ASAP For All Boroughs! Great Pay!, Hotel Security, Law Enforcement Officers Security Unions LEOSU, Law Enforcement Officers Security Unions LEOSU-DC, LEOSU, LOOKING FOR BOUNCER AT HIGH END NIGHT CLUBS AND HOTEL BARS, LOOKING FOR SECURITY, LOOKING FOR SECURITY GUARDS FOR CONSTRUCTION SITES ALL OVER MANHATTAN (Chelsea), MADISON SECURITY INTERVIEWS, NY), NYS LICENSED SECURITY GUARDS-RETAIL (STATEN ISLAND), SECURITY EVENT STAFF, SECURITY GUARD FOR HIGH END JEWELRY STORE (Manhasset), Security Guard Jobs, Security Guard Unions, SECURITY GUARD (BROOKLYN), Security Guards - Bronx (Bronx), Security Guards - Brooklyn (Brooklyn, Security Guards - Manhattan (New York, Security Guards - Queens, Security Guards for Immediate Hire / Multiple Positons available, SECURITY GUARDS NEEDED (BRONX), Security Guards-Unarmed Jobs, Security Officer Jobs, Security Officers Staten Island, SECURITY/ASSET PROTECTION: Flagship Retail Store (Midtown), Security/Fire Guard (Downtown), Seeking Experienced Loss Prevention Agent (New York), Unions for Security Guards, Vehicle Patrol Unarmed Security Officer- Staten Island, WATCH GUARD 24/7 IS HIRING SECURITY GUARDS! LEOS-PBA has Just opened its membership up to individual security officers wishing to become an associate member of our union. (1) LEOS-PBA 2017 Membership Card. (2) LEOS-PBA Car Decal Sticker. 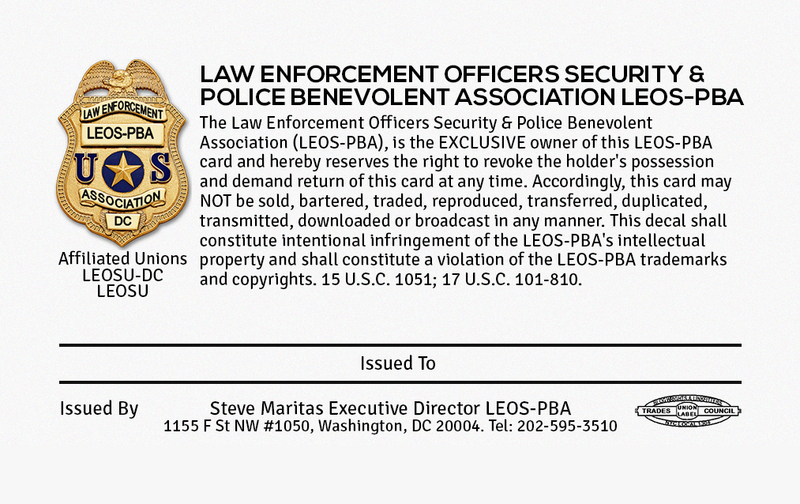 (3) LEOS-PBA 2018 Membership Card sent to you in January 2018. (4) LEOS-PBA Membership Letter which can be used as a job reference. (5) Assistance with Job related problems. (6) Email notifications about industry news & Free Certificate Training Programs. 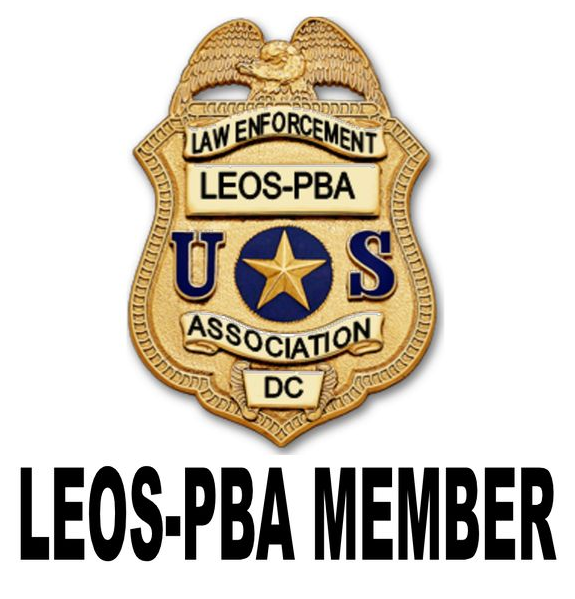 (8) As an extra bonus you will be invited to join our 2100 plus LEOS-PBA LinkedIn Network. A Who’s Who of Law Enforcement, Police, PBA Associations, Security Professionals, Homeland Security, Security Company Executives and more from around the United States. Checkout our network on the top of the page. 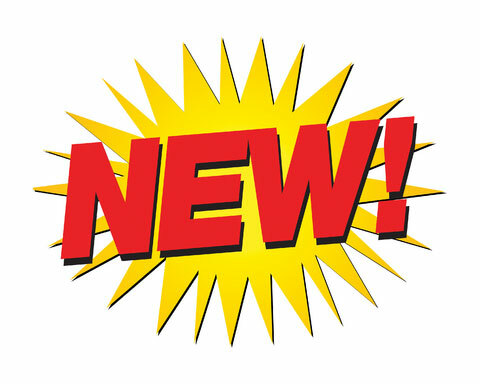 Please Note: we continue to add new law enforcement / police members daily. WHAT ARE YOU WAITING FOR JOIN LEOS-PBA TODAY! Aug 11 Hiring Security Guards ASAP For All Boroughs! Great Pay! Aug 11 Bank and Retail Security Guards – Looking to Hire Quickly! Aug 10 Hiring Security Guards ASAP For All Boroughs! Great Pay! Aug 9 Security Guards needed! Top Security company HIRING! ALLIED UNIVERSAL is hiring Security Guards to work in Manhattan, Brooklyn, Queens and Long Island. Great contracts! (JFK AIRPORT AND MTA). Over 100 positions!!! We are seeking candidates that can provide top-level service. We are looking for someone who communicates well, is dependable, and enthusiastic. In order to apply and be considered for the position, interested candidates must attend a screening interview recruitment event followed by an interview with the Employer if qualified for the position. Date: MONDAY 2/27/2017 8:45 am, 10:45 am, or 1:30 pm SHARP!!!!! Please bring all of your Certificates, NYS Security License, Drivers License, and HS diploma. Additional Information: Women encouraged to apply.Veterans and spouse of Veterans are encouraged to apply. Spanish Speaking encouraged to apply. Additional Information: Must be at least 18 years of age to apply, must bring ID with date of birth, social security card, updated resume and professionally dressed for a screening interview. Screening interviews may take approximately 1-2 hours. Additional Information: Active or retired law enforcement encouraged to apply. Ask for Valerie.L at the front desk. See you Monday! Don’t miss out! Feb 24 ALLIED UNIVERSAL IS HIRING! INTERVIEWS THIS MONDAY! $19-$14.40 PR HR. 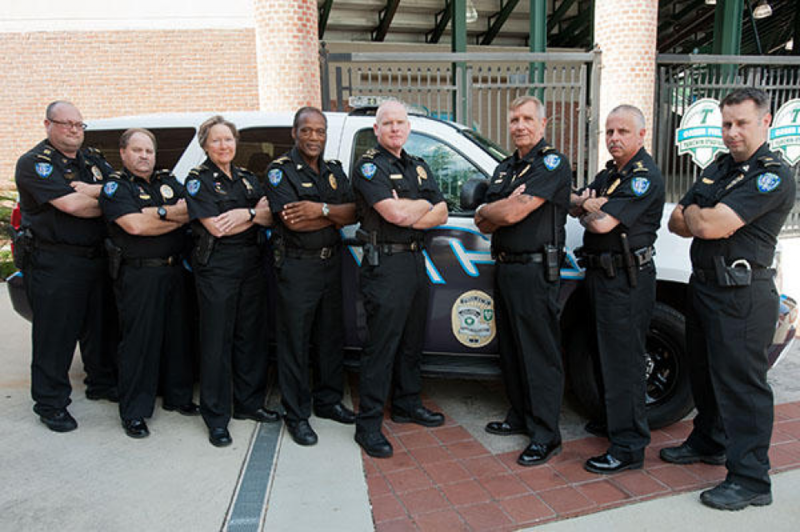 Looking to Join a Law Enforcement / Security Guard Union? Contact LEOSU Organizing Director Steve Maritas Today! Feb 24 SECURITY OFICERS WITH C-99 AND/OR P-15 NEEDED!! OPEN HOUSE! Feb 24 SECURITY OFFICERS NEEDED ASAP!! Feb 23 Searching for Field Supervisor in the Bronx! Feb 23 SECURITY SUPERVISOR NEEDED!!!! Feb 22 Security Guards – No License, No Worries!!! Feb 21 ALLIED UNIVERSAL IS HIRING! INTERVIEWS THIS THURSDAY! $19 PR HR. Feb 21 ALLIED UNIVERSAL IS HIRING! INTERVIEWS THIS WEDNESDAY! $14-$19 PR HR. Feb 17 ALLIED UNIVERSAL IS HIRING! INTERVIEWS THIS WEDNESDAY! $14-$19 PR HR. Feb 17 Bilingual French Speaking Security Guards Needed! Allied Universal provides unparalleled service, systems and solutions to the people and business of our communities, and is North America’s leading security services provider. Allied Universal, North America’s leading security services provider, is experiencing tremendous growth. For all full-time positions, we offer medical, dental, vision, flex spending, 401K, an anniversary bonus, and an on-the-spot recognition program. We promote from within our company! You can start with little, to no, security experience and become one of Allied Universal’s many success stories. 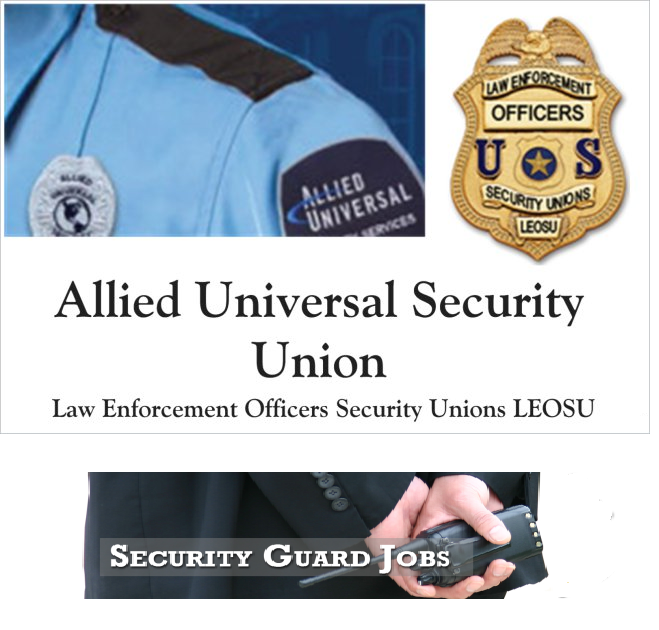 Allied Universal Services is currently searching for a Professional Security Officer. Allied Universal provides unparalleled service, systems and solutions to the people and business of our communities, and is North America’s leading security services provider. With over 140,000 employees, Allied Universal delivers high-quality, tailored solutions, which allows clients to focus on their core business. For more information: 866.825.5433 or www.AUS.com. Allied Universal proudly support the Veteran Jobs Mission, a group of over 200 companies that have committed to collectively hiring a total of one million military veterans. Allied Universal Services is an Equal Opportunity Employer committed to hiring a diverse workforce. 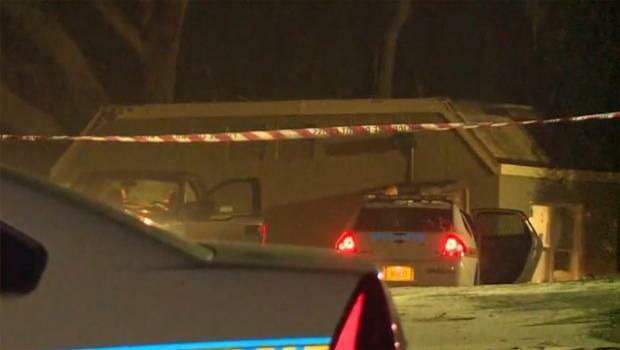 Jacksonville, Florida – A security guard shot a man after the two got into a dispute on the city’s Southside As police arrived on scene, the security guard fired several rounds into a vehicle driving in the Woodlands Apartment complex. A man in that vehicle was was struck at least once and was transported to an area hospital with non-life threatening injuries. 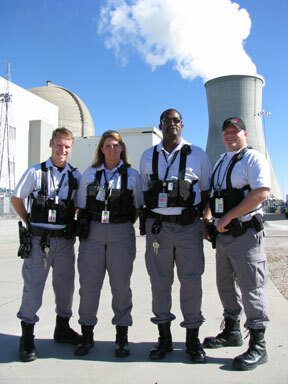 Unions for Security Guards providing Security Guard News, Security Guard Jobs, Security Guard Training and Information. Attorney Andrew M. Sacks held a press conference, Feb. 6, 2017, in his downtown Norfolk office, reading a statement about the fatal Jan.
An Afghan diplomat was shot and killed by his security guard inside the consulate in the Pakistani port city of Karachi on Monday, officials said. The security guard who stopped a shooting at a nightclub on Christmas Day is speaking out for the first time, exclusively to Eyewitness News. Funeral Held For Slain Security Officer Scott Von Lanken. February 6 … He was working as a security guard for RTD at the time of his murder. Richmond, Virginia – On January 24, 2017, Fifty two Allied Universal armed and unarmed security officers working at various sites throughout the city of Richmond, which includes City Hall, voted to Unionize with the Law Enforcement Officers Security Unions (LEOSU-DC) in a landslide victory, with the employer Allied Universal receiving only 4 total votes. 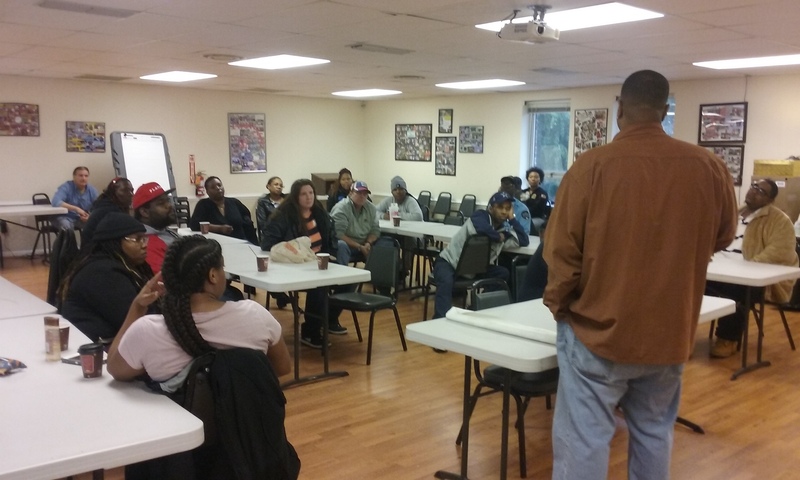 LEOSU-DC Organizing Director Steve Maritas, noted that from the onset of this campaign these Allied Universal Richmond security officers set a course to unionize and never looked back, after their employer Allied Universal, had notified them back on December 10, 2016, that these Allied Universal Richmond officers were going to lose their vacation benefits as well as their 401k benefits as part of a nationwide company policy change as noted in their 2017 Allied Universal Employee Handbook. 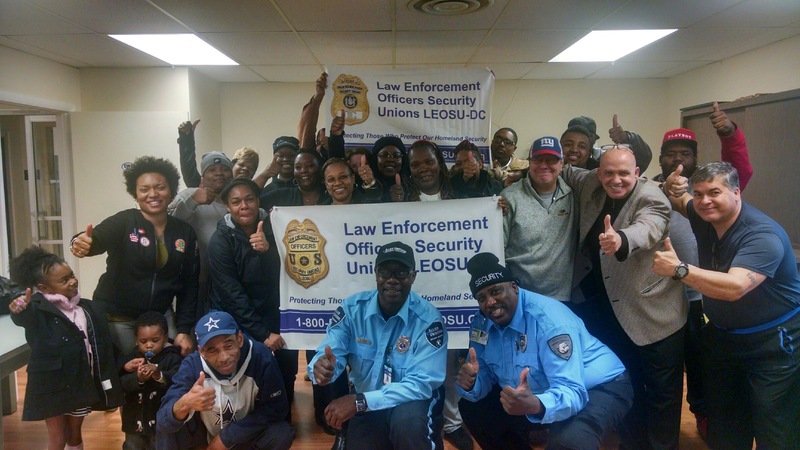 Within 2 days of this special meeting of Allied Universal Richmond security officers, the union, LEOSU-DC filed an NLRB election to represent these Allied Universal Richmond security officers. Immediately upon the filing of this election Allied Universal reinstated the benefits it had taken from these Allied Universal Richmond security officers, claiming it was a mistake as noted in this Allied Universal letter. Since the publishing of our original post on December 13, 2016 – Allied Universal Security Officers in Richmond Virginia Get Their Vacation and 401k Benefits Back after LEOSU-DC Files an Election with the NLRB to Represent Them the union has received many calls from Allied Universal security officers claiming they to have lost their vacation benefits as part of the new 2017 Allied Universal nationwide policy. 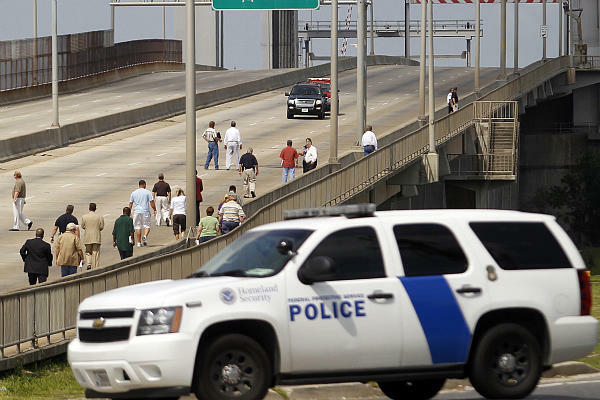 In addition to the vacation benefits being taken away, many Allied Universal security officers from around the country have also noted the low pay they are receiving. In Richmond Virginia the armed Allied Universal Richmond security officers working on the city contract are only making $13.50 per hour. 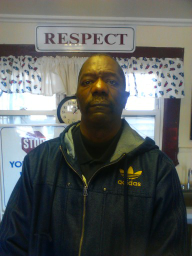 While the unarmed Allied Universal Richmond security officers are only making $10.00 per hour. This is not a living wage, this is more like poverty wages and we plan to bring our fight for $15 to the attention of Richmond, VA Mayor Levar M. Stoney, noted Maritas. 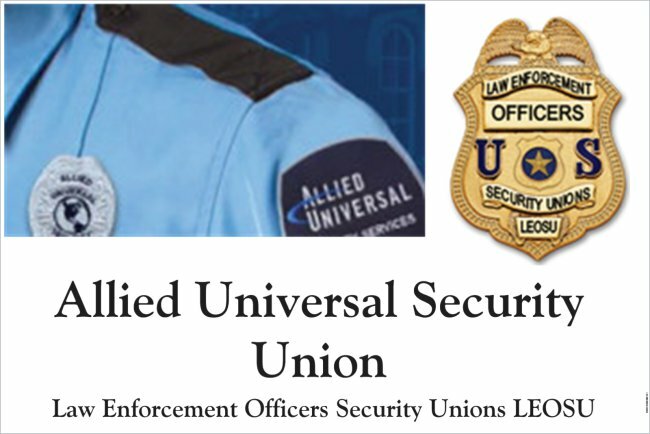 The Law Enforcement Officers Security Unions (LEOSU) and its affiliated divisions will continue to do educational meetings like the one above for Allied Universal Officers above in Richmond, Virginia to help better educate Allied Universal nationwide. 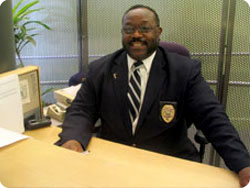 This would also apply to any other security guard group who are interested in joining or forming a security union, with LEOSU, educating you on your rights to join a security guard union, as well as the benefits of joining a security guard union, like the Law Enforcement Officers Security Unions (LEOSU). Allied Universal is the largest provider of security services in North America and is recognized as the premier service provider in every market that we serve. With more than fifty years of experience, we understand your industry and the unique business regulations that affect your organization. Allied Universal Cabrini College Public Safety Director Joseph Fusco, was beaten up by Uber driver after he refused to drive him home after a holiday party 3 days before Christmas from University City, Philadelphia to New Jersey 30 minutes away, lawsuit alleges. 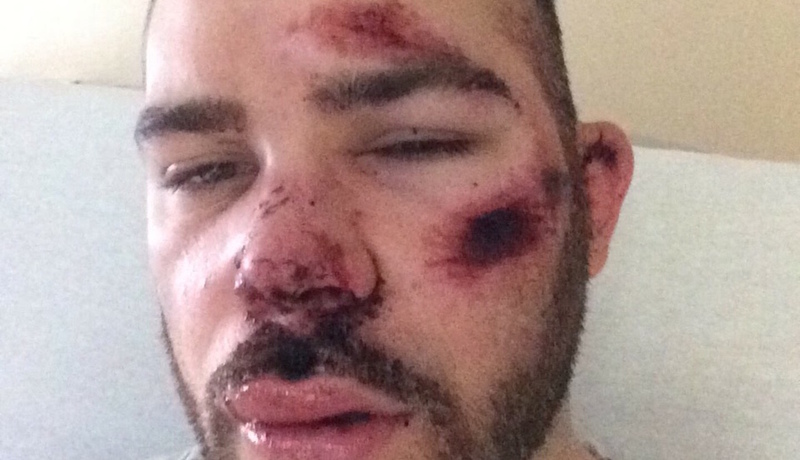 “The Uber Driver then dragged Plaintiff out of the front seat by his coat collar and severely beat Plaintiff, breaking multiples bones on his face, knocking out teeth, and leaving him in a pool of blood on the pavement (with his body partially in the street) in the freezing cold,” the lawsuit alleges. The driver also stomped on and kicked Fusco while he was already unconscious – something the lawsuit alleges is caught on surveillance video. Two bystanders eventually found Fusco, according to the complaint, and called 911. To add insult to injury—literally—Fusco claims that the driver charged him for a 28-minute ride into North Philadelphia. To date, he says, he hasn’t been refunded. According to the 34-page civil complaint, on the evening of December 22, 2016, Fusco was attending a private party at a Philadelphia sports bar with his colleagues from Allied Universal and other public safety officials from the University of Pennsylvania. Are you a Allied Universal Security Officer looking to Join a Security Union? If YES Contact the Allied Universal Security Union Today. Richmond, VA – On Saturday December 10, 2016, seventy (70) Allied Universal security officers working on the Richmond, VA city contract were called to a meeting and told by upper management they would be losing their vacation days and 401k benefits. Immediately following the meeting several Allied Universal security officers contacted LEOSU-DC Organizing Director Steve Maritas and asked what could the union do to help these officers. LEOSU-DC Organizing Director Steve Maritas immediately sprang into action advising these Allied Universal security officers to go online to our website and signup to join our union. Within 24 hours of the call for help the Law Enforcement Officers Security Unions LEOSU-DC had signed close to the majority of these Allied Universal security officers. Upon having the support needed to file an election with the National Labor Relations Board, the union electronically filed an election with the NLRB on Sunday night and thereafter notified Allied Universal of our NLRB petition. By morning Allied Universal upper management were in a tailspin seeing the quick action of the union as well as the solidarity of these Richmond, VA security officers banding together as a united front. By Monday morning, these 70 Allied Universal security officers were receiving emails from the company informing them that their vacation pay and 401k benefits would no longer be taken away from them by the company. SEE ALLIED UNIVERSAL LETTER. Maritas noted, “while we were successful in gaining back the vacation days, 401k benefits and other benefits of these Allied Universal security officers in Richmond, VA, we must now continue to move forward, not backwards as the union seeks to not only protect the wages, benefits and other conditions of employment these officers presently enjoy, but rather we must move forward in improving these wages, benefits and working conditions as well as providing “JOB SECURITY” since these (70) Allied Universal security officers are still “AT-WILL” employees subject to firing without just cause”. “That is why it is so important to have a union and a union contract in place so management cannot just fire its employees “AT-WILL” nor can they take away their benefits “AT-WILL” as in the case of these (70) Allied Universal security officers”. noted Maritas. The union expects the NLRB will conduct a mail ballot election within the next few weeks. 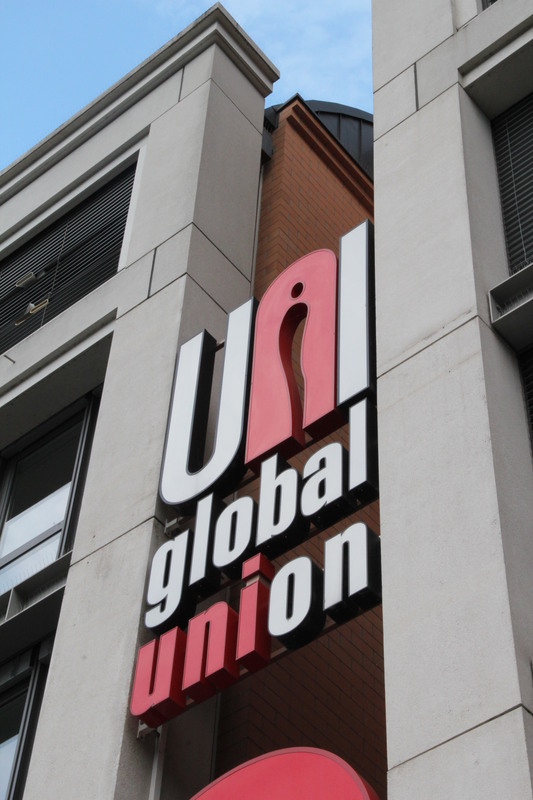 Upon winning the union election the LEOSU-DC will be certified as the collective bargaining agent for these Allied Universal officers and then we will begin the process of collective bargaining to improve the wages benefits and other conditions of employment for these Allied Universal Richmond, VA security officers. Unit Sought: Included: All regular full-time and regular part-time security officers and lead security officers acting under the title of lieutenant, performing guard duties as defined in Section 9(B)(3) of the National Labor Relations Act, Employed by Allied Universal; Excluded: All office clerical employees, professional employees and supervisors as defined in the Act. Please see the message that was sent to me and DelMar regarding the Anniversary Bonus/Vacation Policy contained in the employee handbook. Please use the talking points (highlighted in yellow below) with your teams and ensure any communications reinforce this message. The great news is that through a tremendous amount of collaboration between many departments, we were able to finalize the new S/P Employee Handbook* and get this sent out to start providing our managers, supervisors and S/Ps with some needed guidance on key policies like attendance, work rules and performance expectations. This Handbook contains our “go forward” approach for new accounts relative to the Anniversary Bonus Program, which is provided annually to employees as a recognition for service. This part of the Handbook is intended to represent the standard program for the vast majority of legacy Universal accounts, and the standard for new accounts sold going forward. Unfortunately, in the focus on the handbook getting launched in general, we missed on pre-communicating what that section means to existing employees in legacy AB accounts that currently have vacation plans, and those employees in union or client-contract accounts that require a traditional vacation plan. This has created some confusion with primarily legacy AB Managers. We continue to evaluate an overall transition plan regarding integrating and standardizing our approach to S/P vacation programs – Universal and AB had very different approaches, and thoughtful work is going into considering the best strategy for the Company and employees. We will involve the senior leadership and HR teams in the development of any communications related to this. If any alterations to plans were to occur, they would NOT involve client-contracted or union accounts – those would remain intact regardless of any transitions that occur. For non-union/non-contract specified accounts (i.e., other legacy AB accounts that have an AB vacation plan currently), the annual dollar value of the current vacation benefits would NOT be impacted in an transition plan that is developed. Questions regarding the language in the Handbook can be directed to the HRDs, but the message very simply is that the Handbook section regarding the Anniversary Bonus Program applies to all existing accounts that currently have this benefit, and to new accounts that get sold that do not otherwise have a vacation program specified. * the new Handbook version that has been posted on Sharepoint and eHub can be found at the link below, and is for all S/Ps nationally excluding Canada, CA, Puerto Rico and the USVI, which are forthcoming along with a new Admin Handbook. Allied Universal Security Services is a security officer company based in the United States. 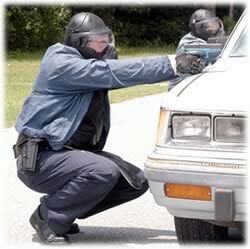 It is a combination of earlier companies – Barton Protective Services, Spectaguard, Initial and Allied Security. By 2016, the company expects its merger with Universal Services of America to be finalized, with the newly formed conglomerate being named Allied Universal. Allied Security, Inc. was founded in 1957 in Pittsburgh, Pennsylvania. The company provided contracted security guards and related services. In 2000, Philadelphia, Pennsylvania-based, Spectaguard acquired Allied to form Allied Security and as a result became the fourth largest security company in the United States. 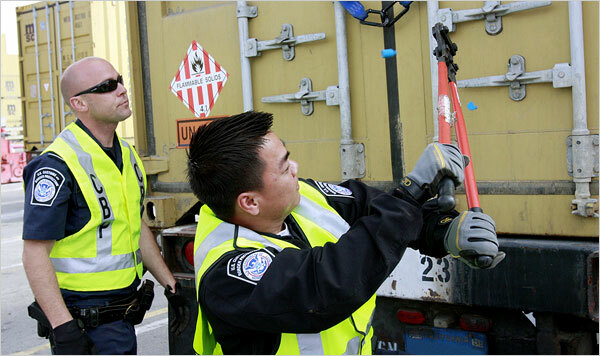 Three years later, in 2003, Allied Security acquired Professional Security Bureau. Within a year, in 2004, Allied acquired Security Systems Inc. (SSI) of Malden, MA and Barton Protective Services to form AlliedBarton Security Services – creating the largest American-owned contract security services company in the United States. Two years later, in 2006, AlliedBarton acquired Initial Security for $73.6 million. In 2015, Wendel, a Paris-based private-equity firm, acquired AlliedBarton Security Services for US$1.67 billion. In 2016, AlliedBarton and Universal Services of America announced their intention to merge, pending regulatory commission approval. The merger is expected to be completed by 2016, with the combined company being called Allied Universal. With this merger, Allied Universal will become the leading security company in North America. On Oct 03, 2016, Allied Universal purchased of FJC Security Services. Law Enforcement Officers Security Unions (LEOSU -DC) America’s Newest 9(b)3 Security Union For Law Enforcement Security Police, Special Police, Security Guards, Security Officers & Security Professionals in New York, New Jersey, Connecticut, Washington DC Capitol Region and throughout the Northeast. Allied Universal, a leading facility services company and the largest security force in North America with over 150,000 employees and co-HQ in Conshohocken, PA and Santa Ana, CA, has announced the purchase of FJC Security Services, based in Floral Park, N.Y. Terms of the deal were not disclosed. SANTA ANA, Calif. and CONSHOHOCKEN, Pa., Oct. 3, 2016 /PRNewswire/ — Allied Universal, a leading facility services company and the largest security force in North America with over 150,000 employees, today has announced the purchase of FJC Security Services, based in Floral Park, N.Y. Terms of the deal were not disclosed. 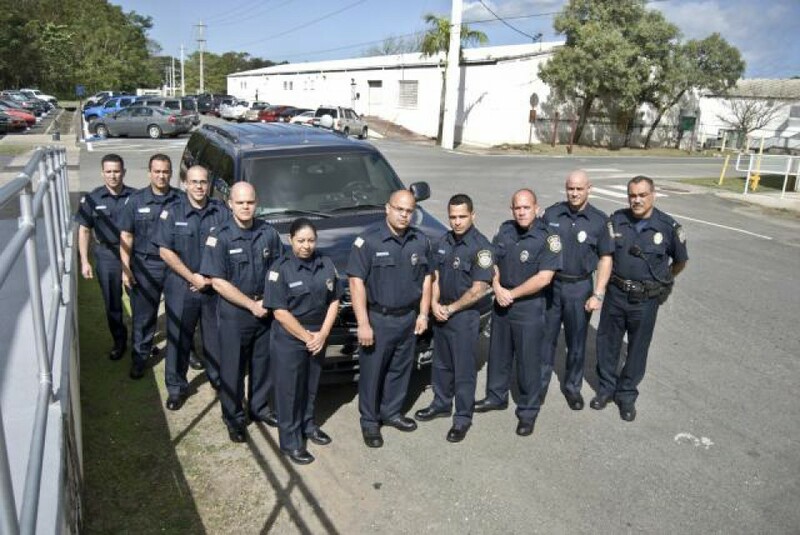 An industry provider of both uniformed security professionals and with a leadership team steeped in law enforcement and military background, FJC has led the industry on the East coast since 1988. Overall annual revenue totals nearly $300 million. The company’s staff of 6,300 serves residential complexes, college campuses, government buildings, healthcare facilities, commercial businesses and construction projects for major airports and high-profile public landmarks. “The FJC Group’s history in protecting clients regionally has been a great success story. We are proud to continue our mission under the auspices of Allied Universal and its stellar reputation,” said Frank Califano, FJC Chairman and CEO. “Through the journey of many communications, we have learned that the synergies in mission and culture are parallel. Our clients can expect the same levels of service that our experience has provided over the past 28 years; but now with additional capabilities and resources,” Califano said. Learn more about Allied Universal’s service offerings at www.AUS.com. 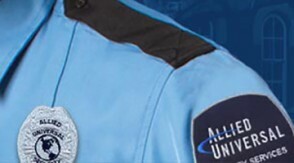 Allied Universal, a leading facility services company and the largest security force in North America with over 150,000 employees, provides unparalleled security services and solutions. 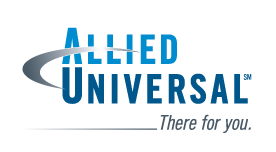 With headquarters in Santa Ana, Calif., and Conshohocken, Pa., Allied Universal combines people and technology to deliver evolving, tailored solutions that allow our clients to focus on their core business. An unrelenting focus on clients’ success creates partnerships rooted in quality and value, and is supported by experience gained from being in business for over 50 years. Through our people and leading services, systems and solutions…Allied Universal is there for you. For more information, please visit www.AUS.com. Law Enforcement Officers Security Unions (LEOSU-DC) America’s Newest 9(b)3 Security Union For Law Enforcement Security Police, Special Police, Security Guards, Security Officers & Security Professionals in New York, New Jersey, Connecticut, Washington DC Capitol Region and throughout the Northeast. Major Retailer seeks Event Staff to cover Thanksgiving Night into Black Friday! This post has a great work environment while handling access control. For these highly visible position all applicants must have a NY Security Guard License, reliable transportation and phone for communication re: scheduling. U.S. Security Associates provides security services for thousands of clients, ranging from Fortune 500 firms to healthcare organizations, schools and universities, government agencies, and a variety of commercial and residential properties. 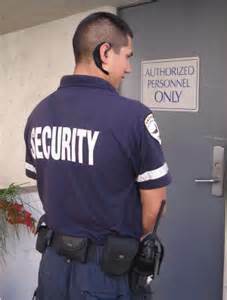 Cambridge Security is now hiring full time security guards in Manhattan! Pay depends on experience & we are filling positions ASAP! 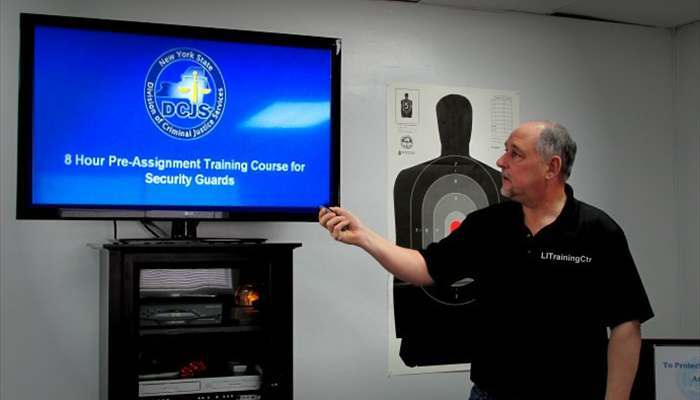 Our security professionals undergo a rigorous training regimen that includes classroom work, field training, and site specific training customized for each client and situation. 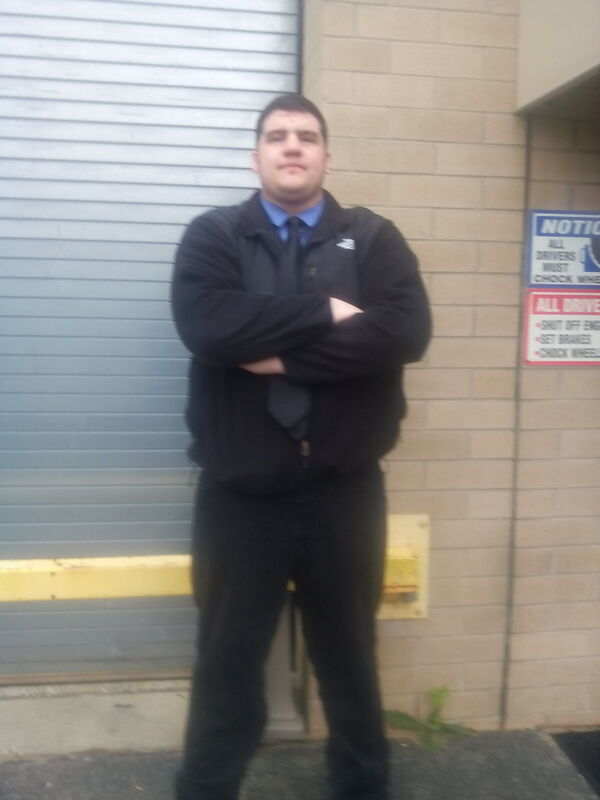 Cambridge Security is now hiring full time security guards in Manhattan! Pay depends on experience & we are filling positions ASAP! We’re NOW HIRING through JobPose.com! If you’re ready to join the Cambridge Security team, visit JobPose.com today and submit your information!